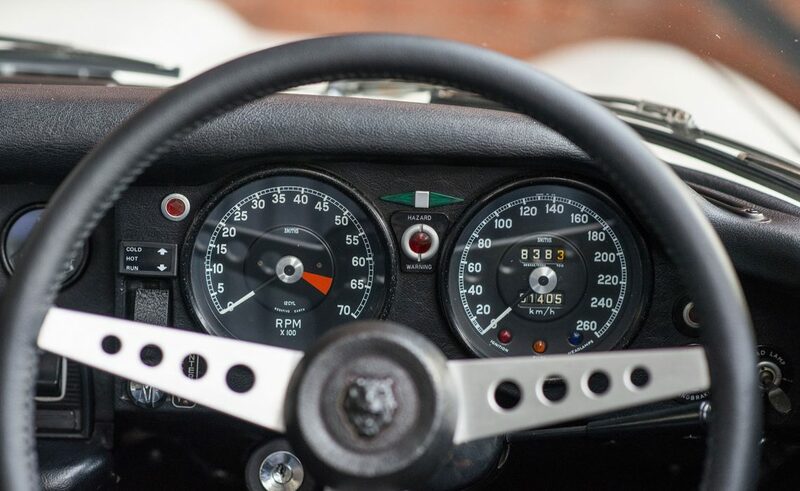 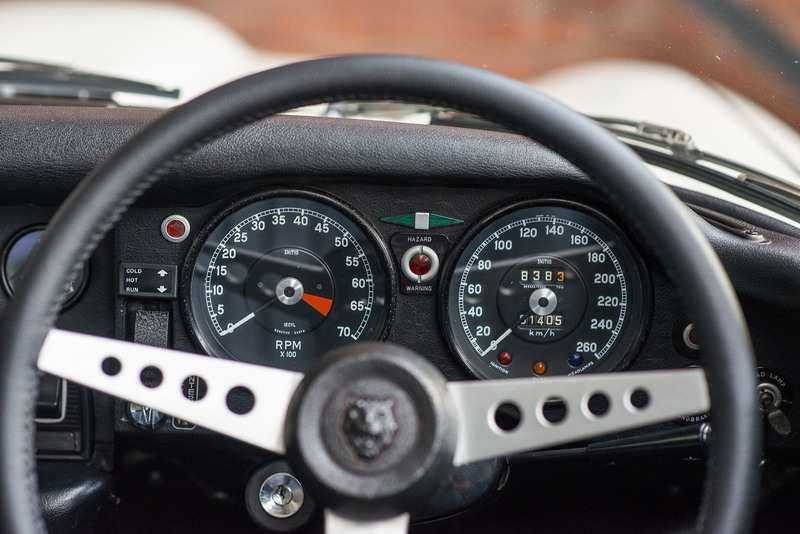 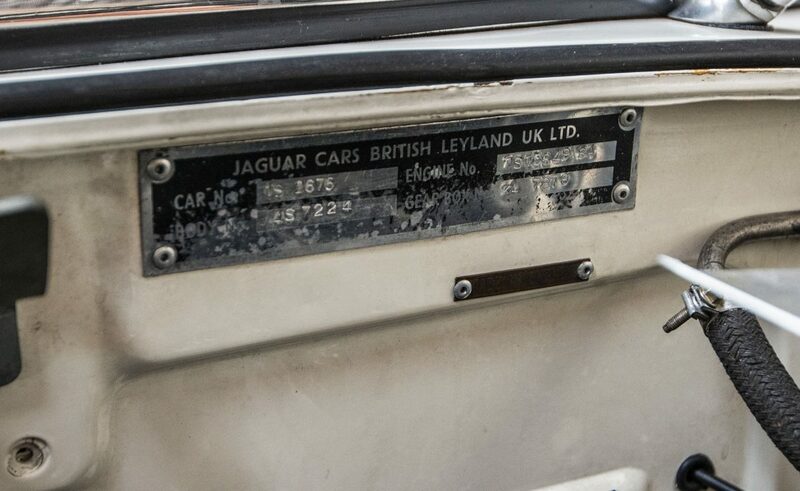 Originally delivered to an Australian gentleman via Jaguar Export Sales in Coventry on 19th February 1974. 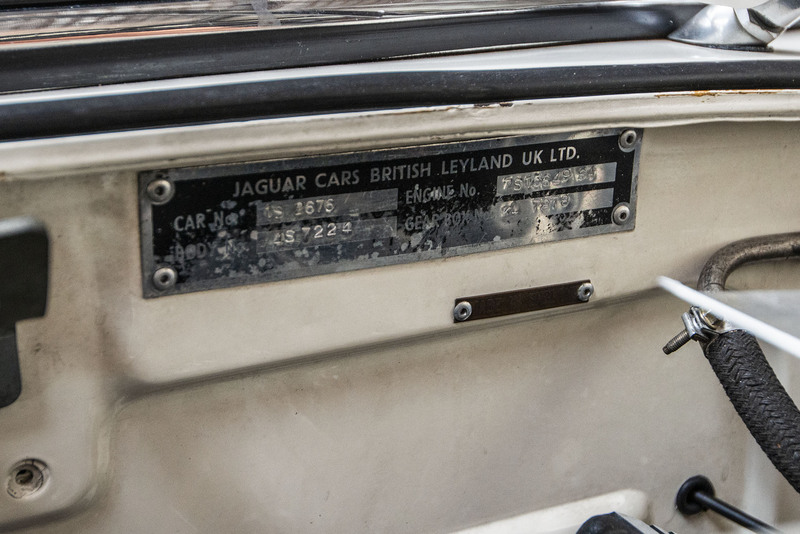 The owner was then provided approx. 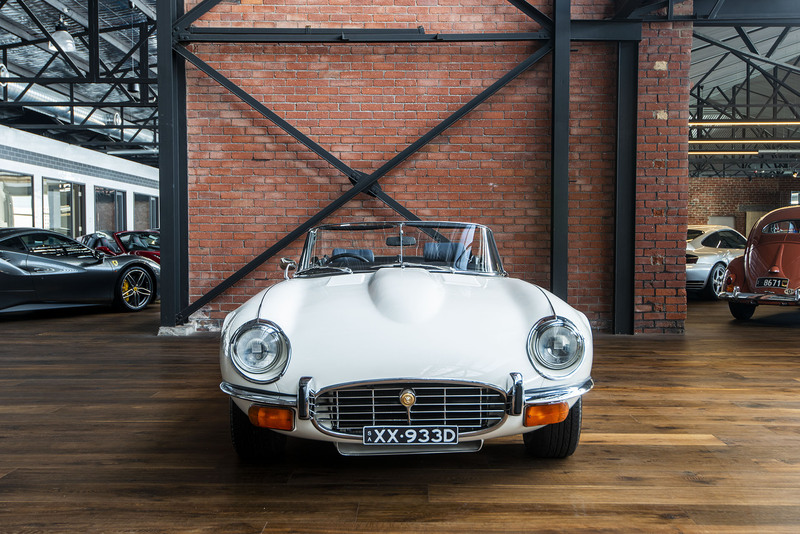 12 months registration prior to exporting the vehicle to Australia in 1975 where it was first registered in NSW. 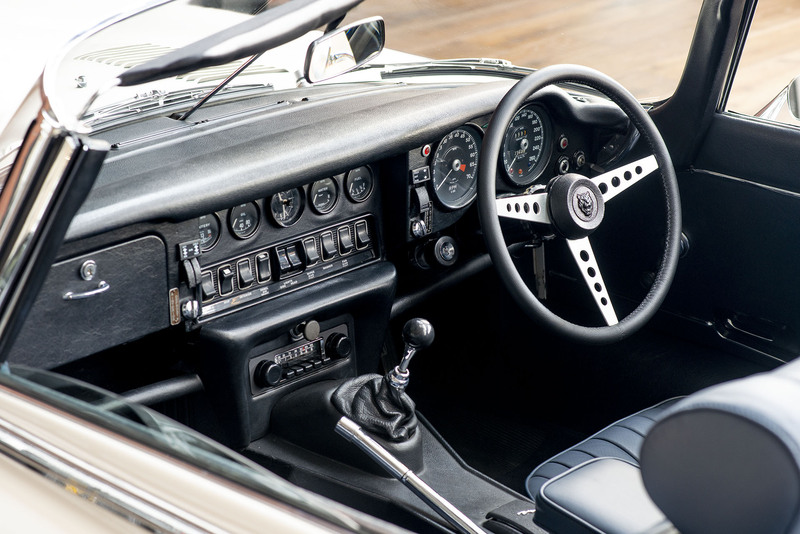 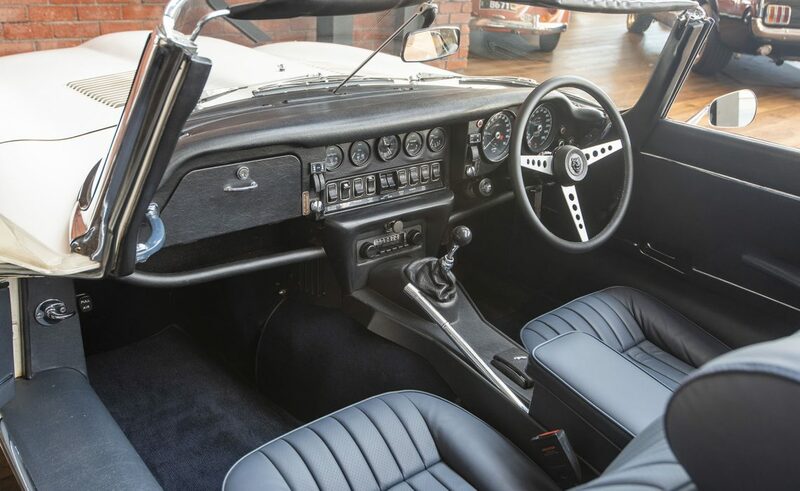 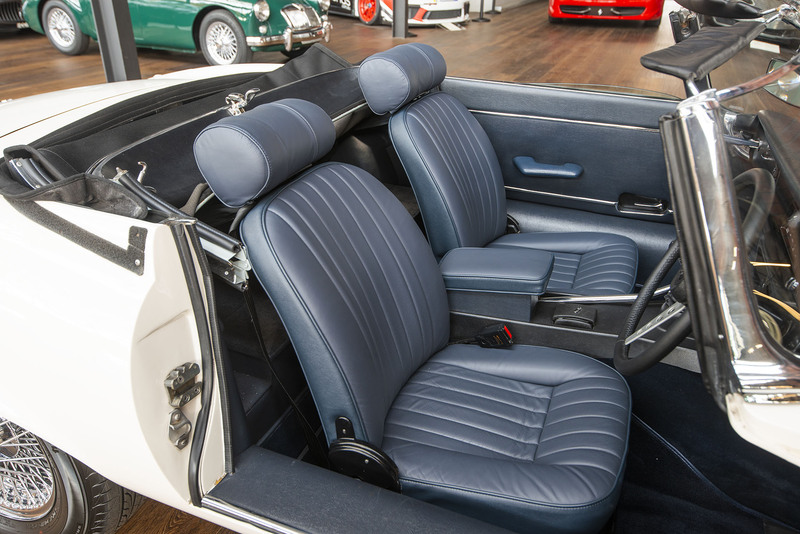 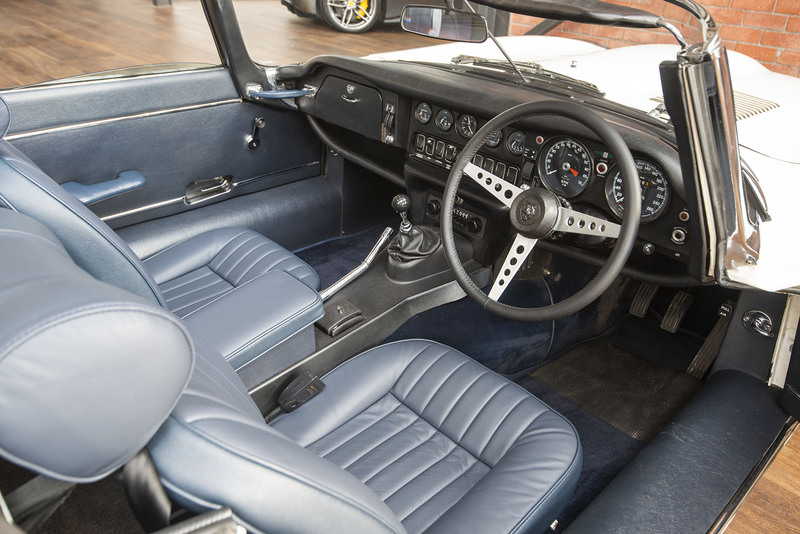 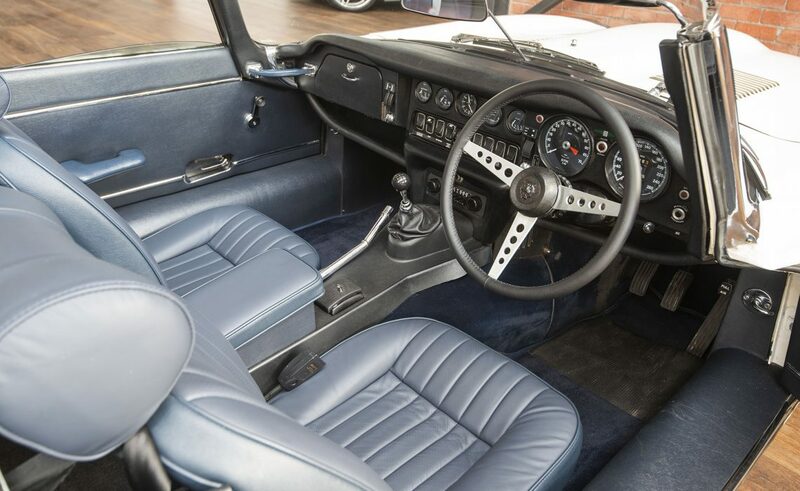 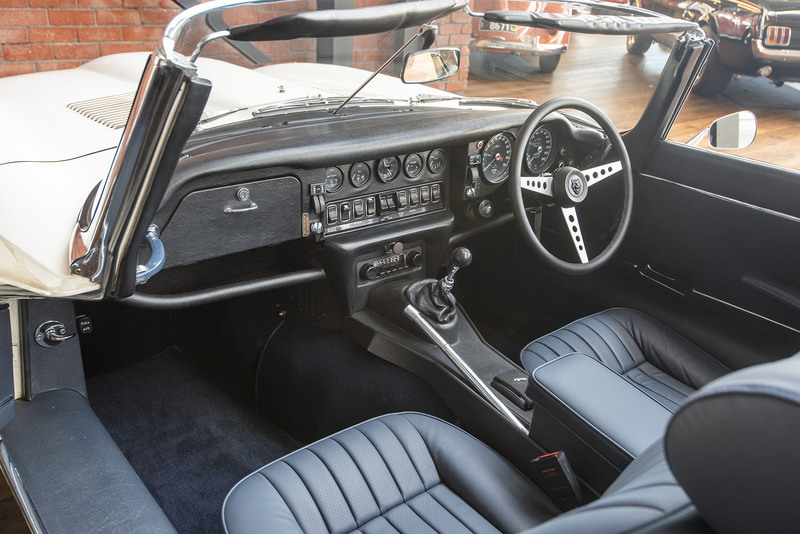 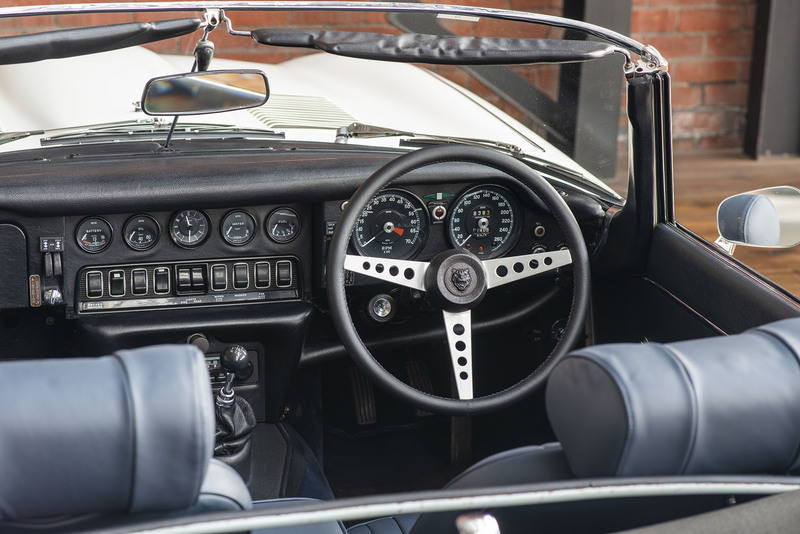 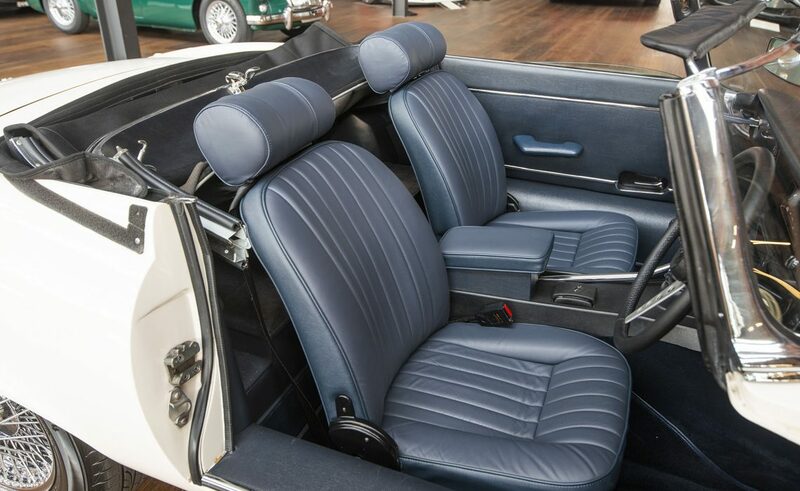 Superbly presented in the stunning and classic combination of Old English White paintwork with French Blue leather interior. 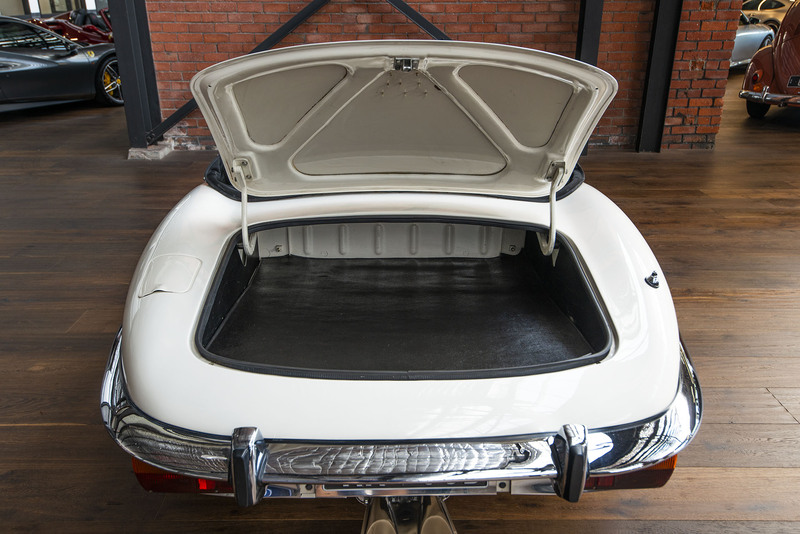 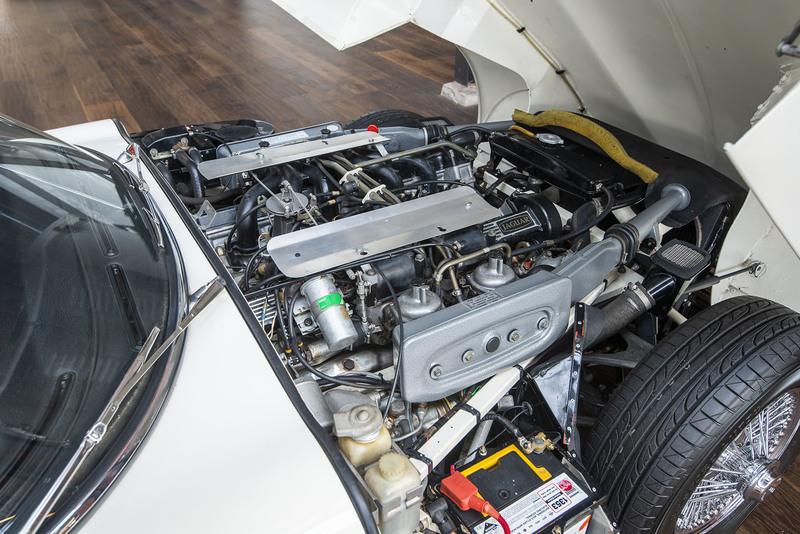 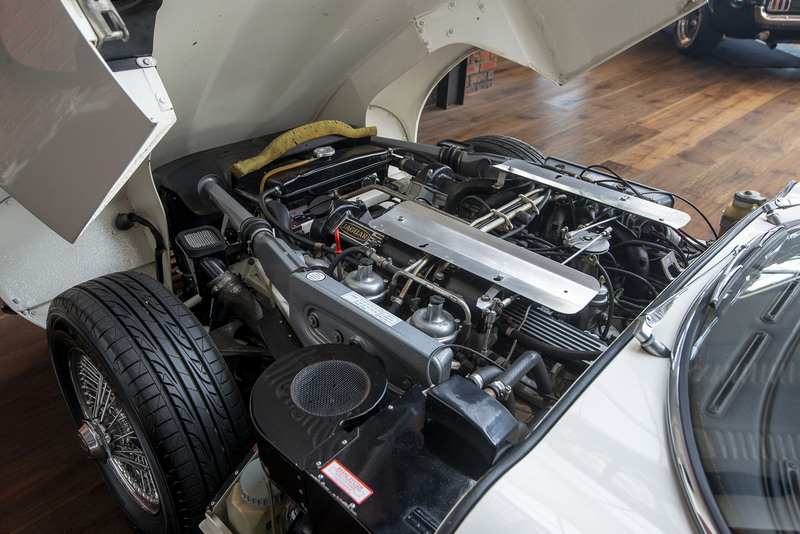 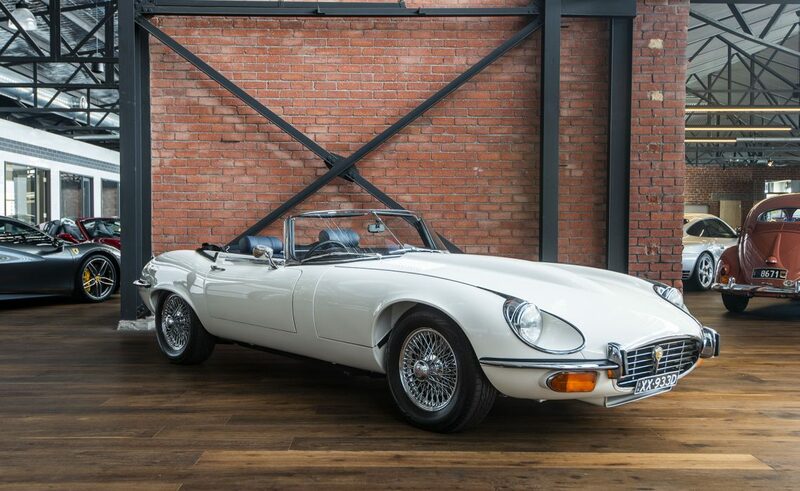 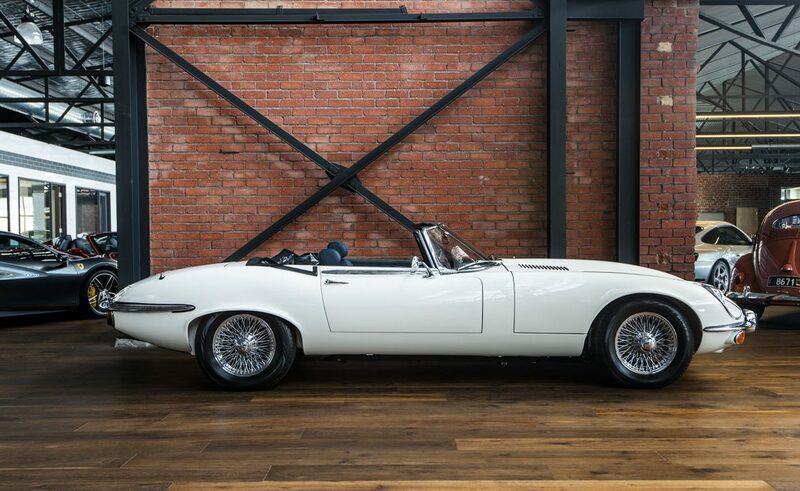 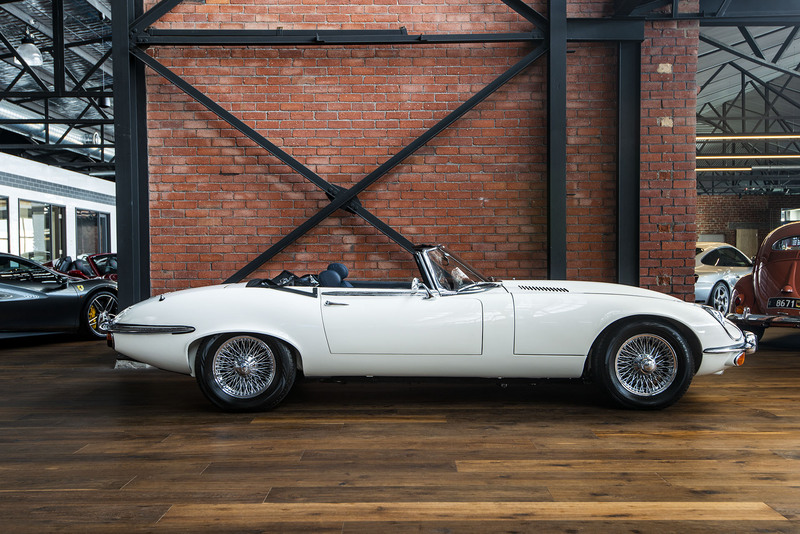 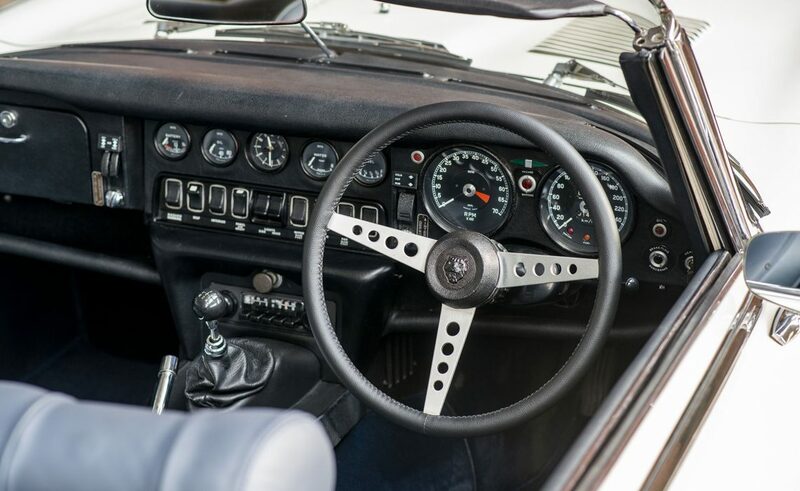 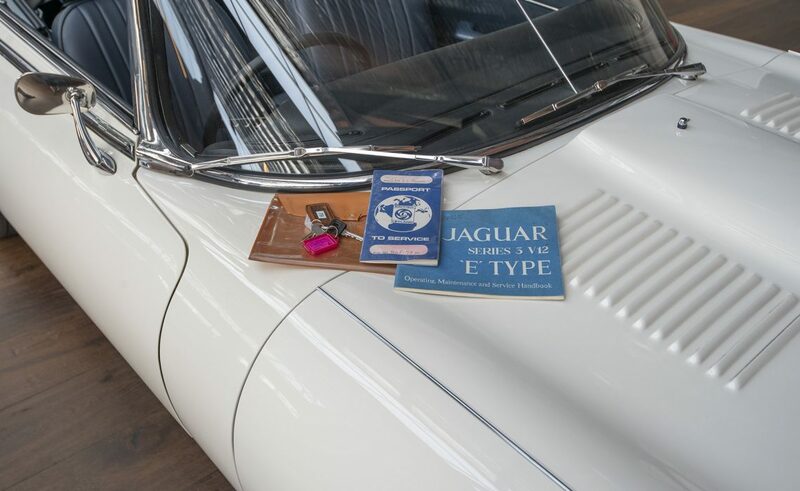 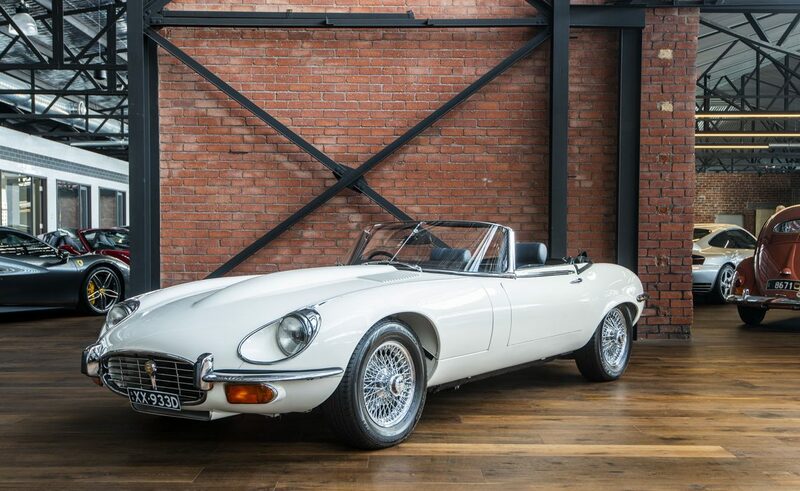 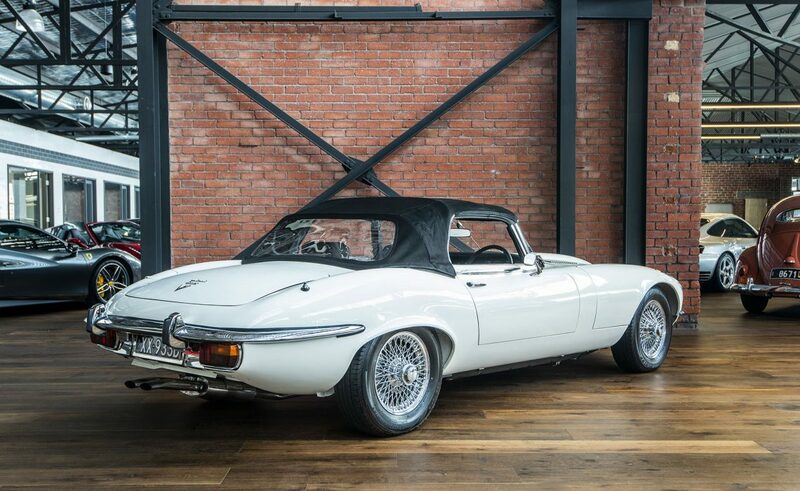 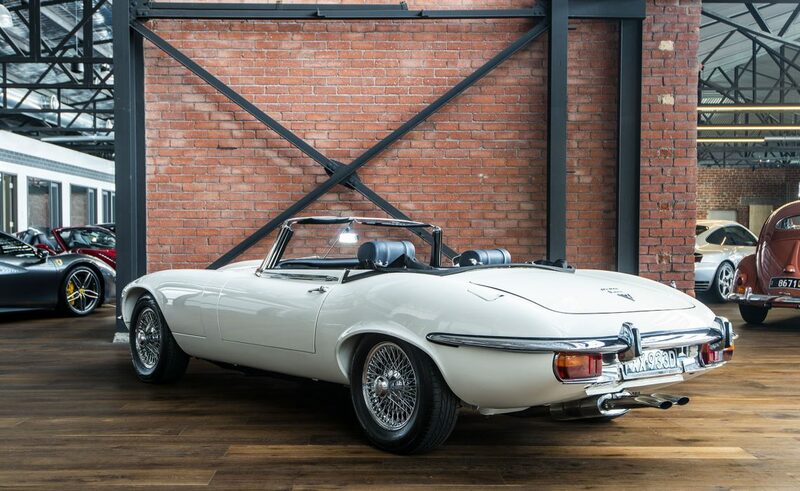 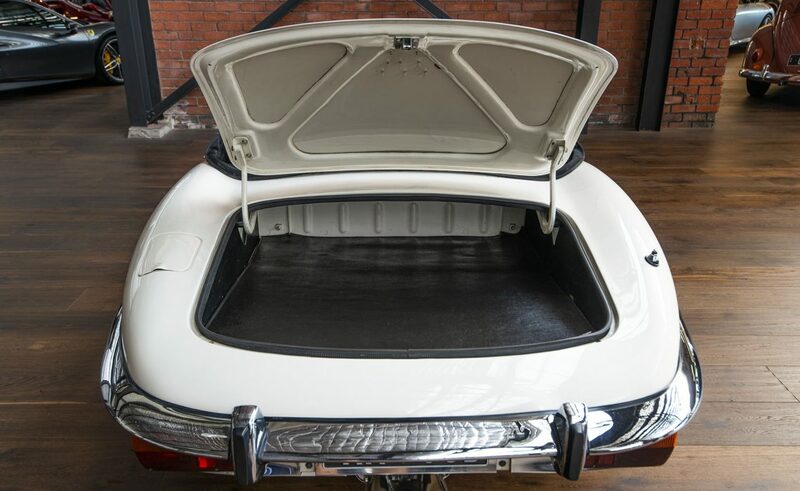 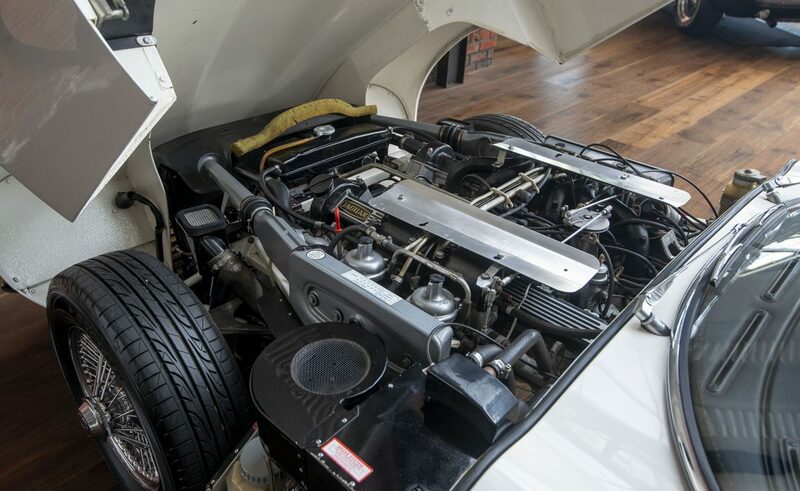 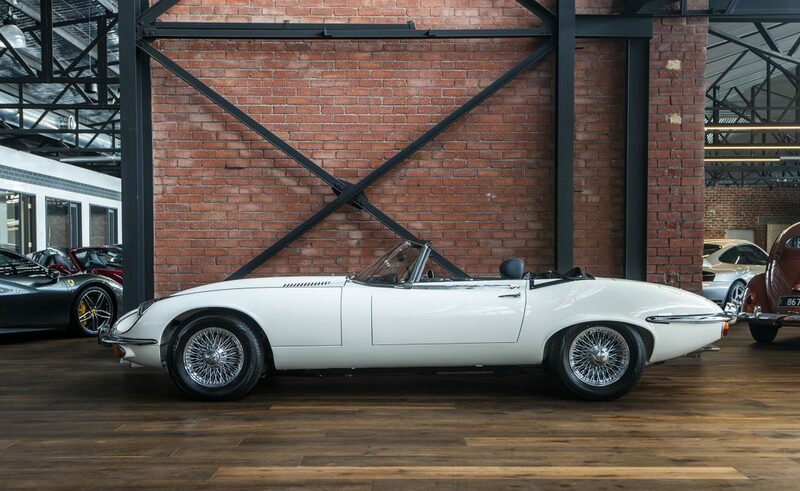 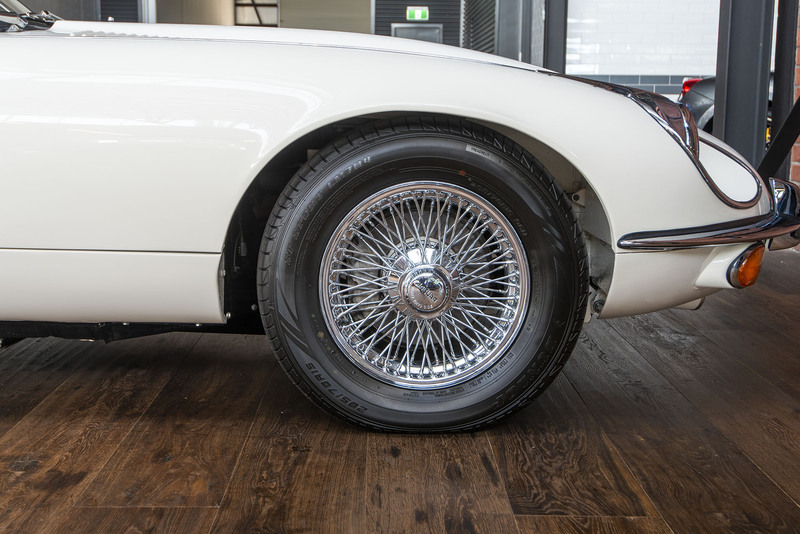 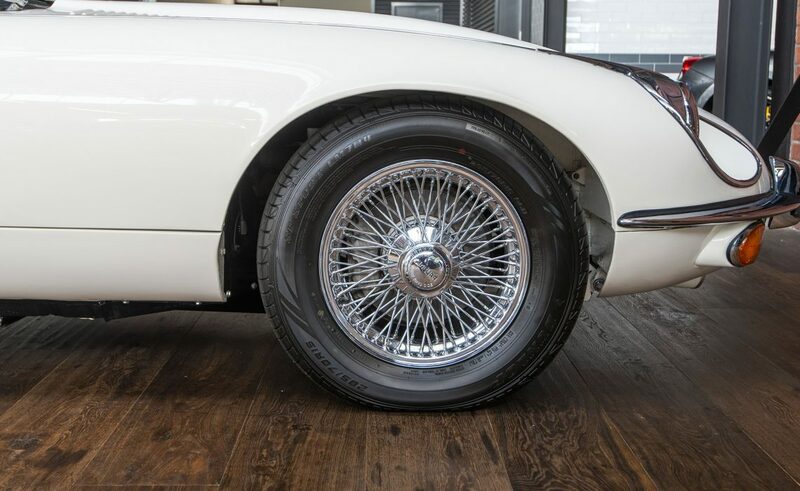 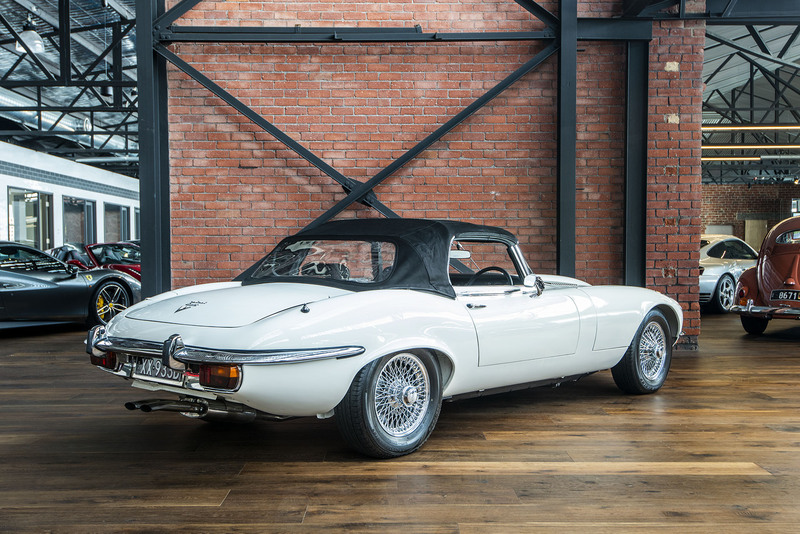 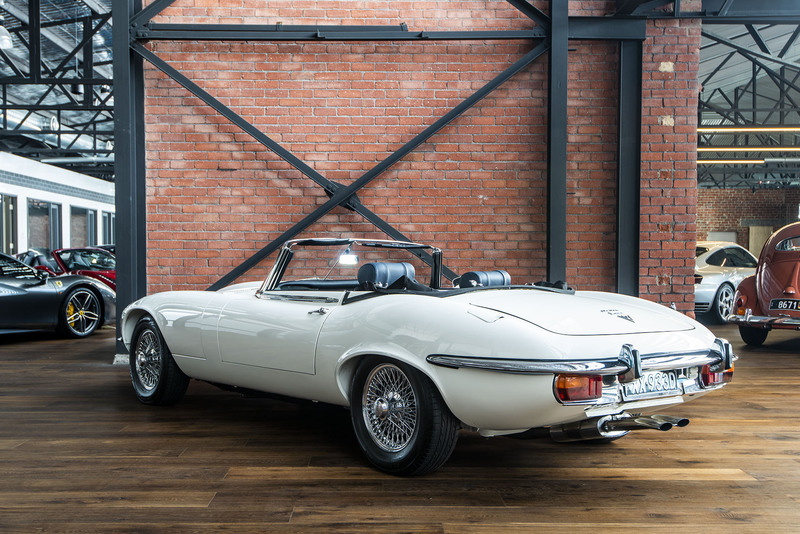 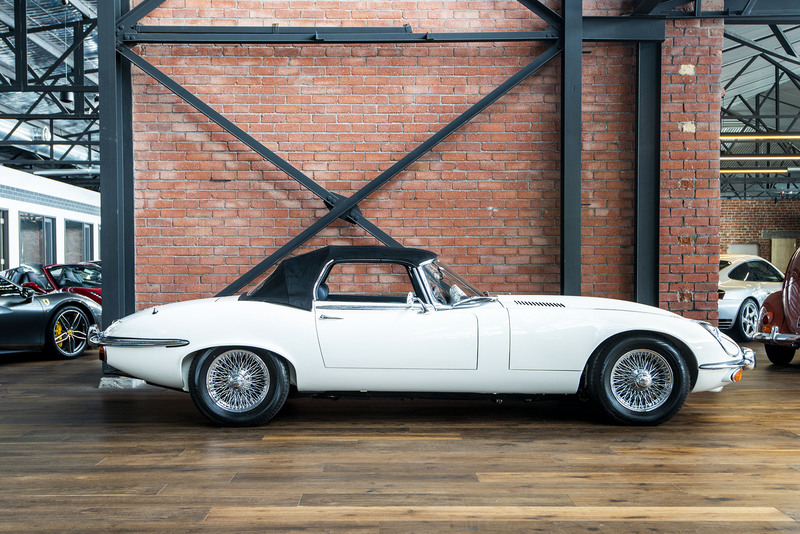 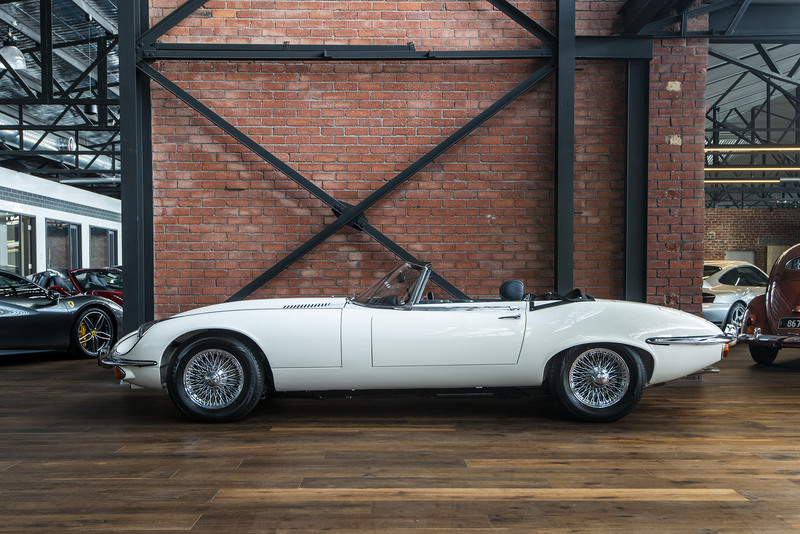 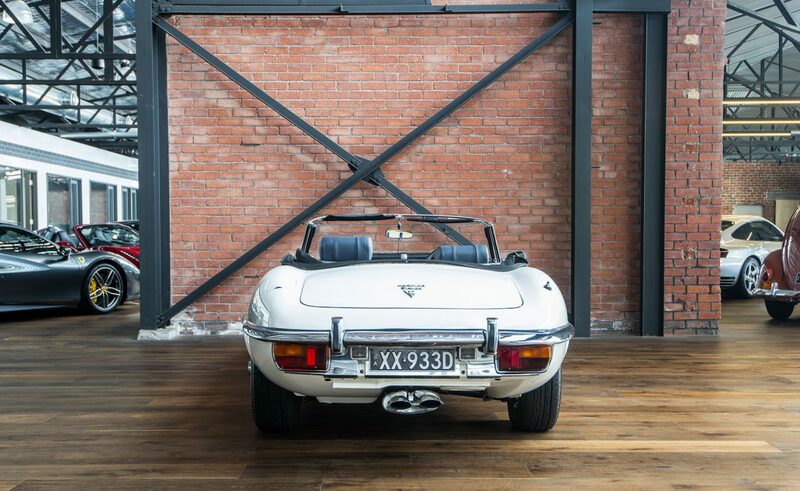 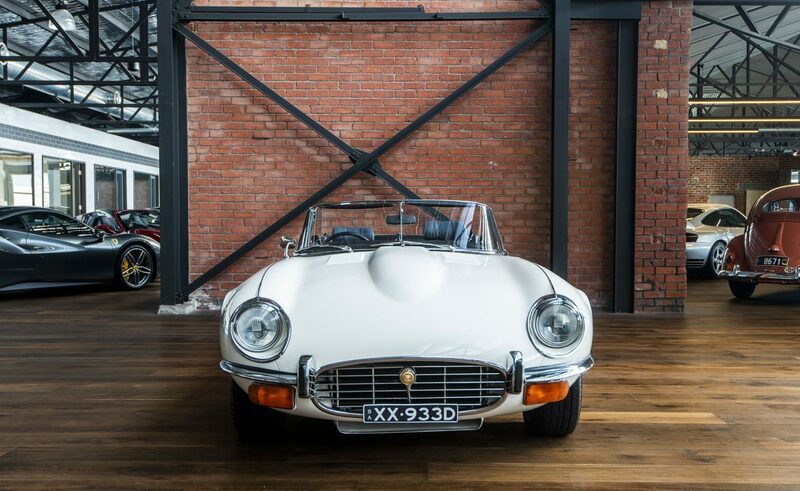 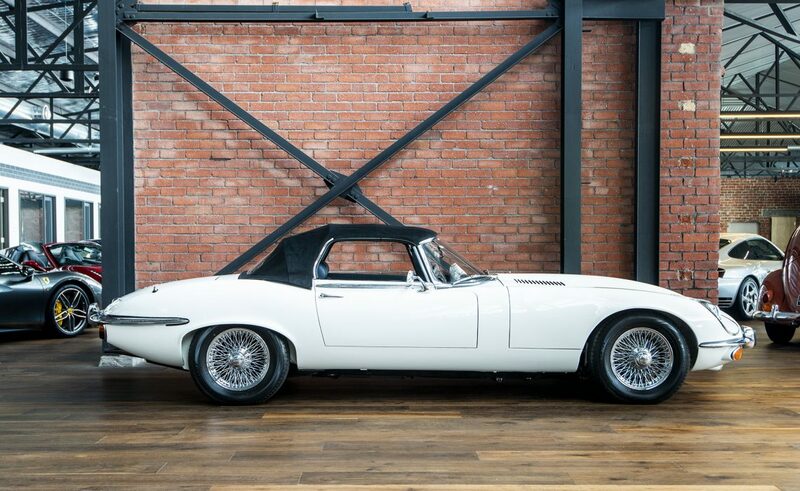 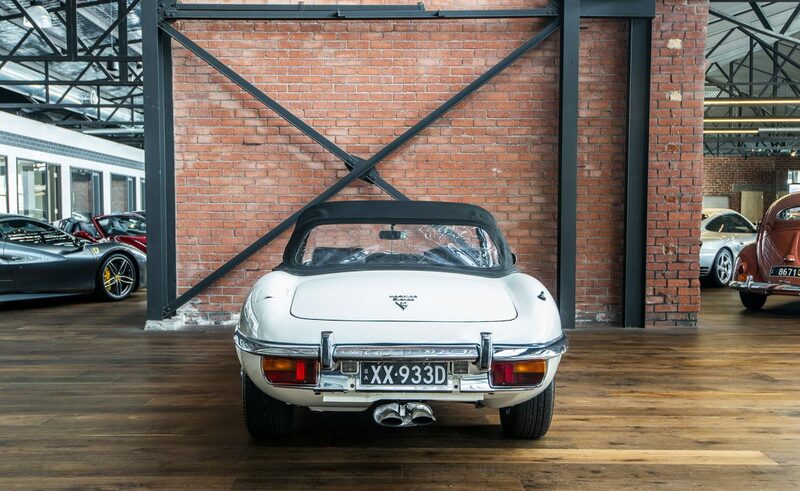 This matching numbers and restored E-Type Roadster will be delivered with all associated and original service books, original registration booklet, registration tag, service manual and an service receipt file. 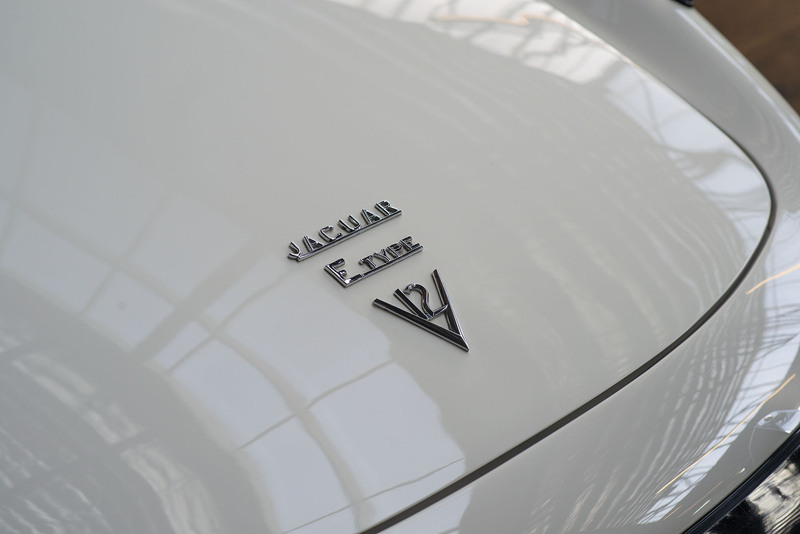 The 5.3 litre V12 engine is both smooth-running and powerful. 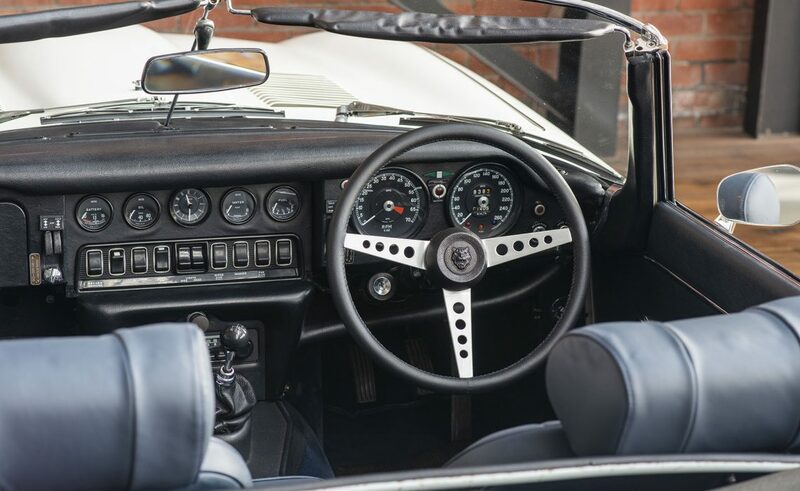 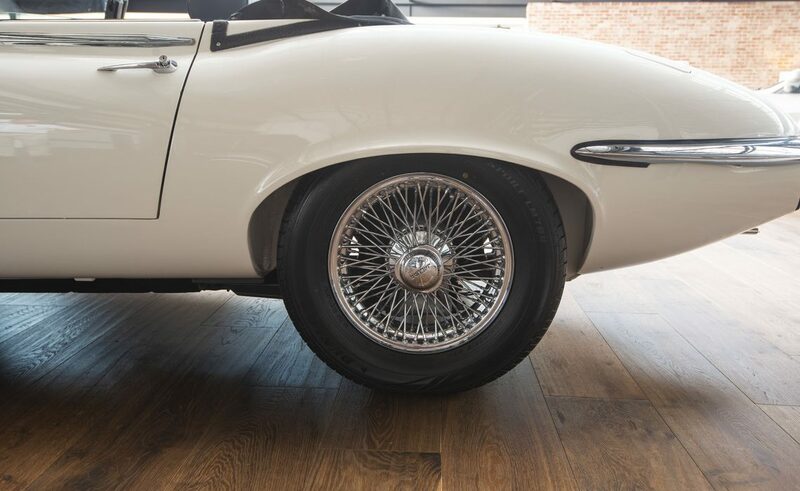 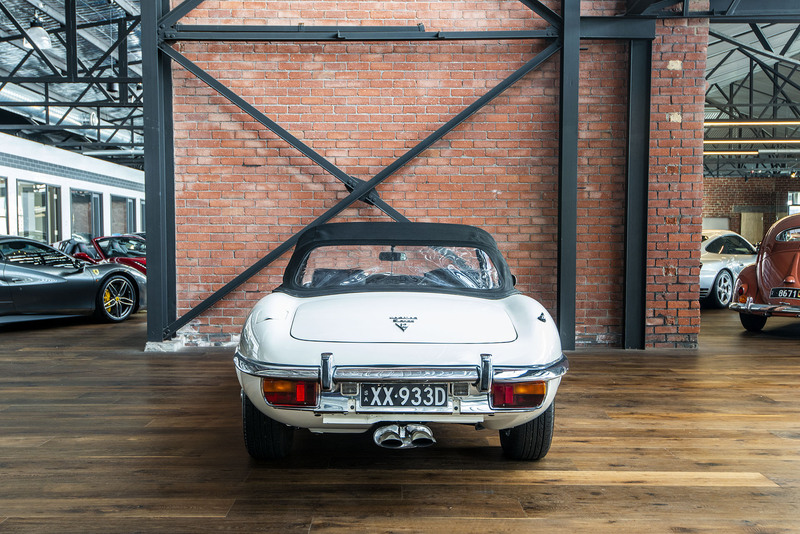 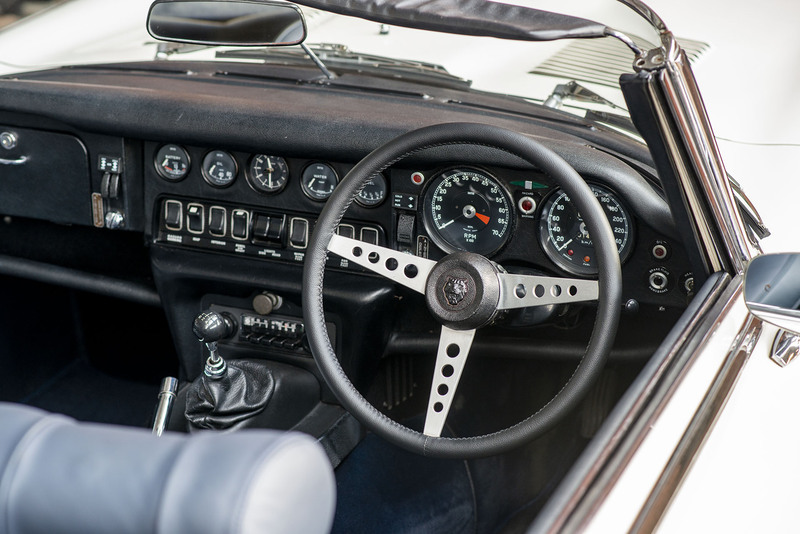 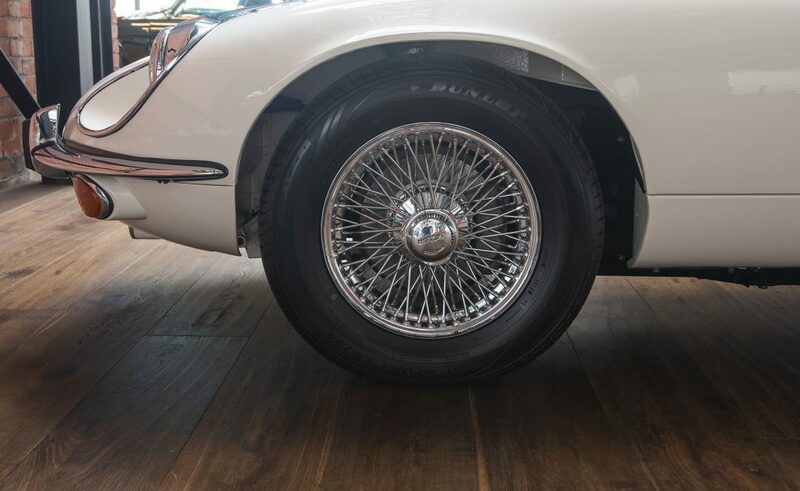 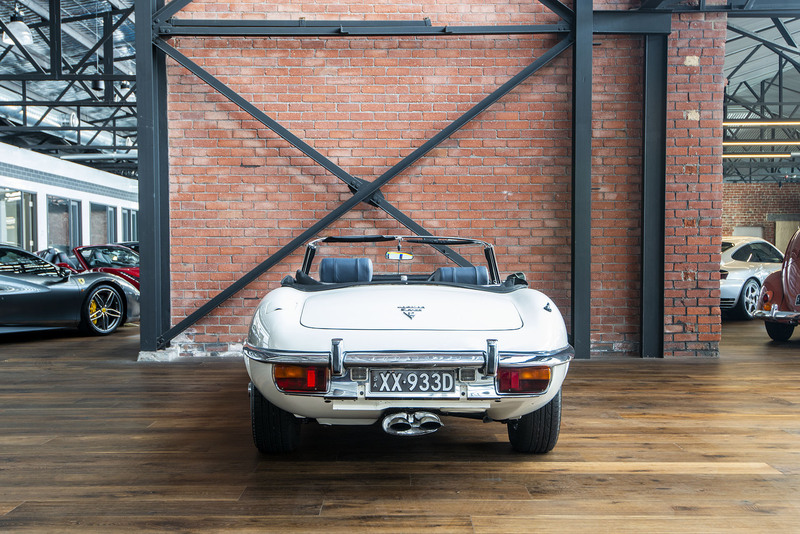 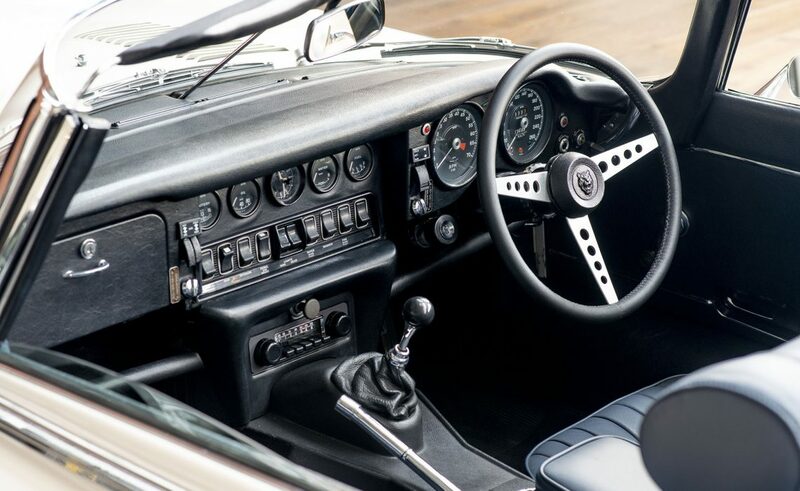 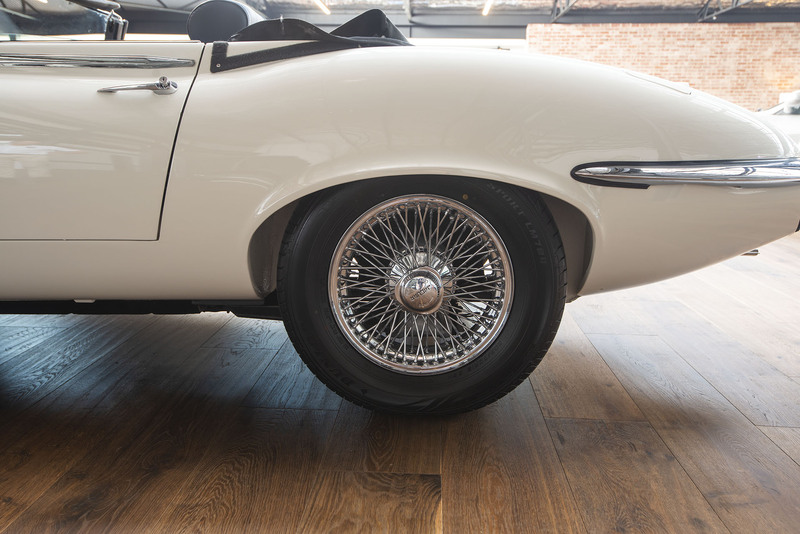 Not only is it an engaging and enjoyable car to drive, the E-Type Roadster has the look that can be admired by the owner at rest. 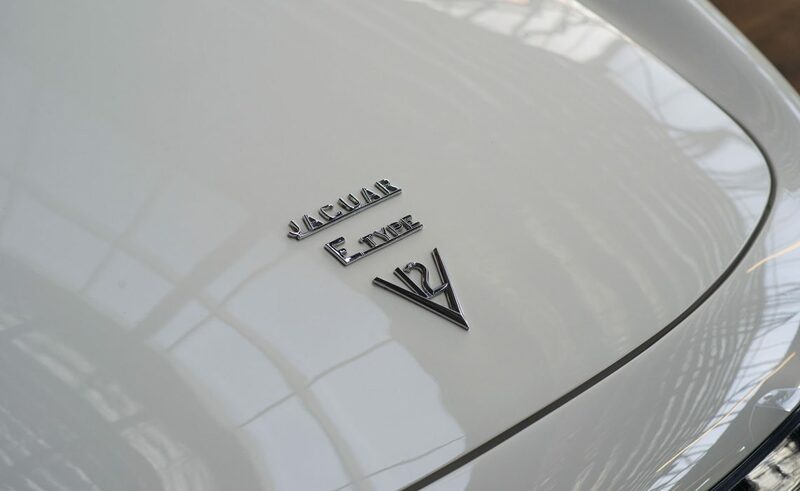 This is an iconic design much appreciated the World over. 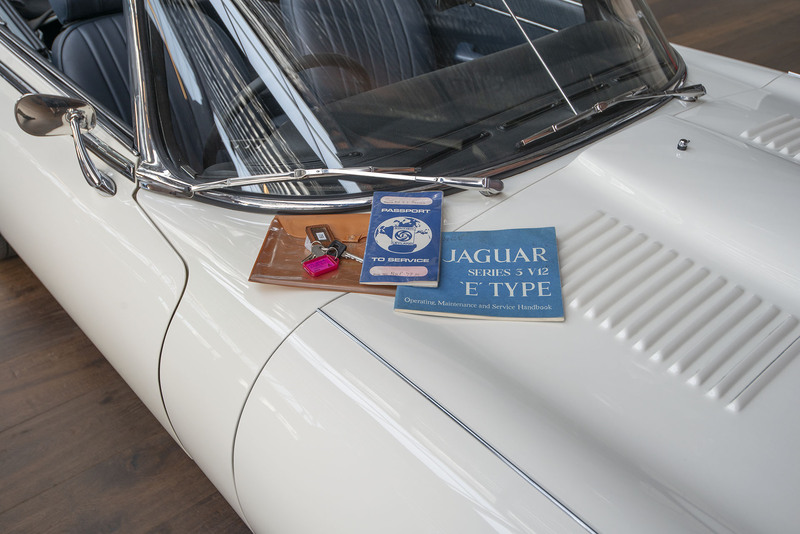 We hold a Heritage Certificate for this car which shows it is a matching numbers model.